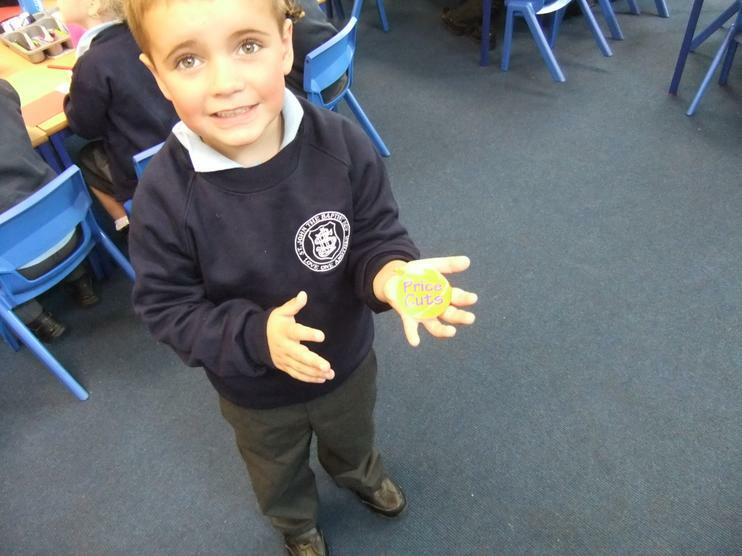 Year One is such a happy place to learn. 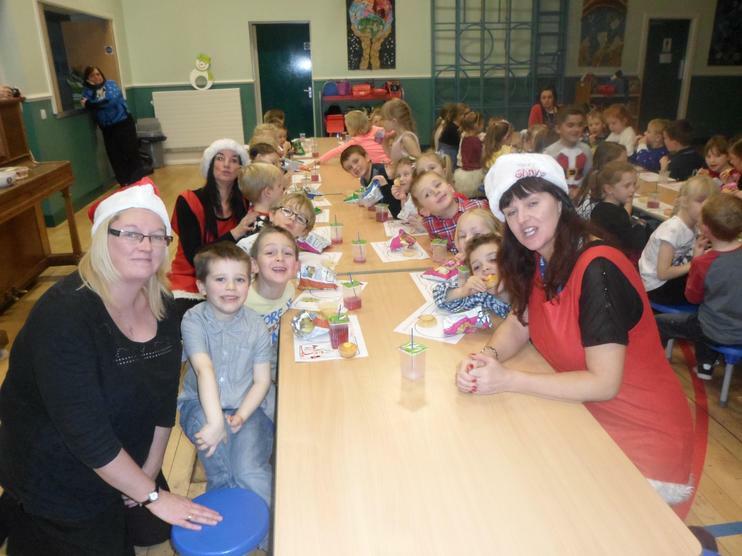 Our friendly team consists of Mrs Adamson, Mrs Barker and Mrs Glynn. 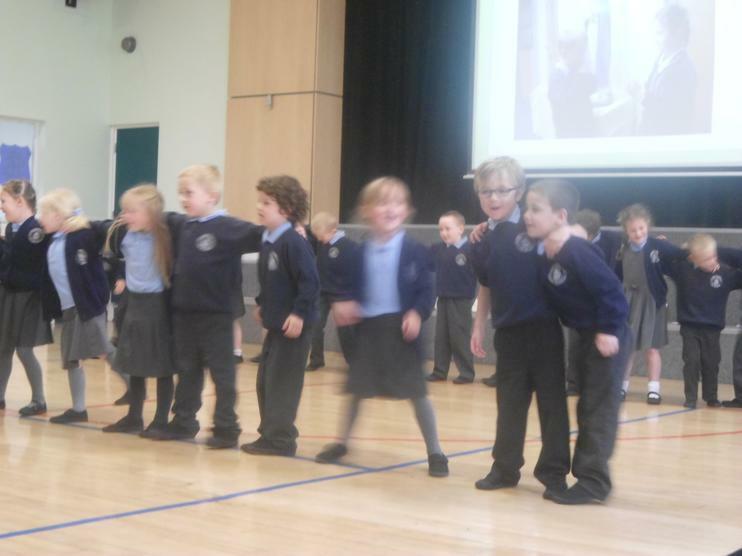 Please look at the topic web for the second half of Spring. 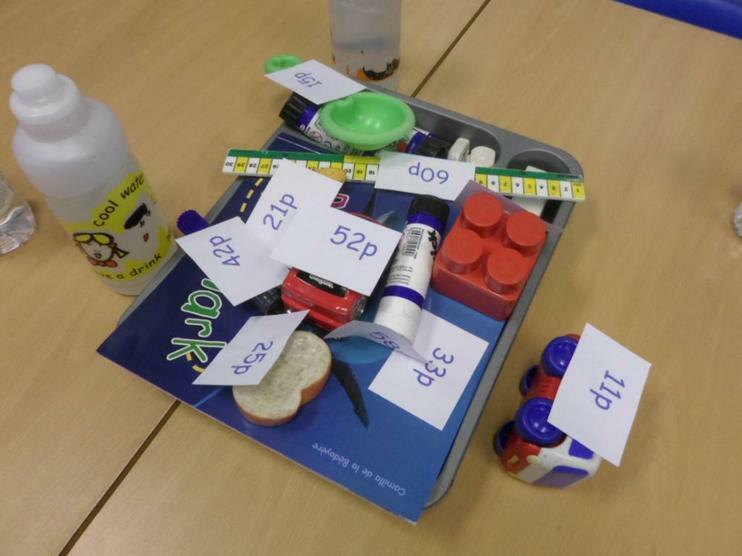 It will provide the focus for our learning from now until the end of this half term. 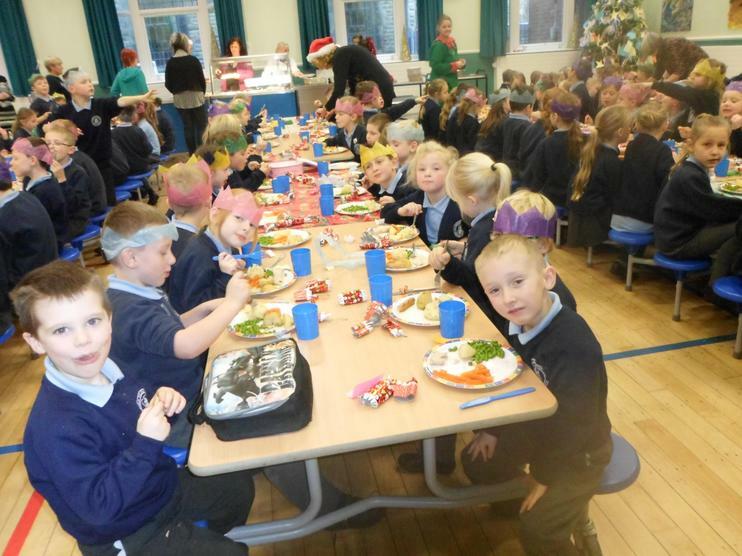 At St John's we always remember the true meaning of Christmas. 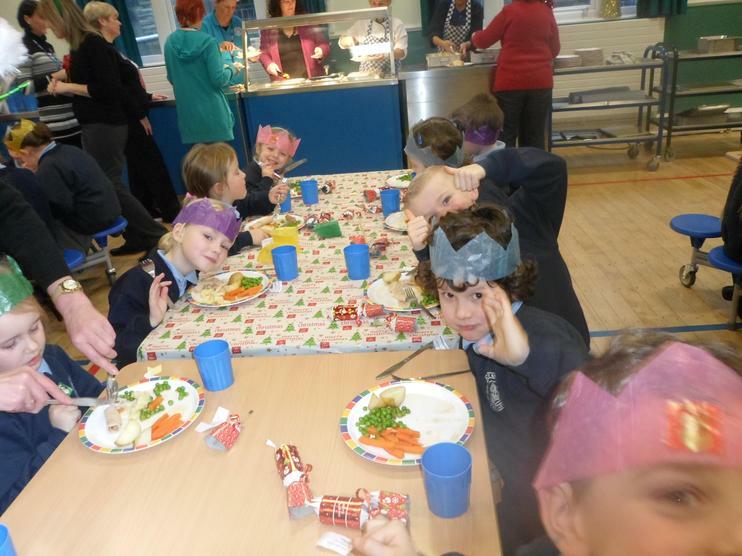 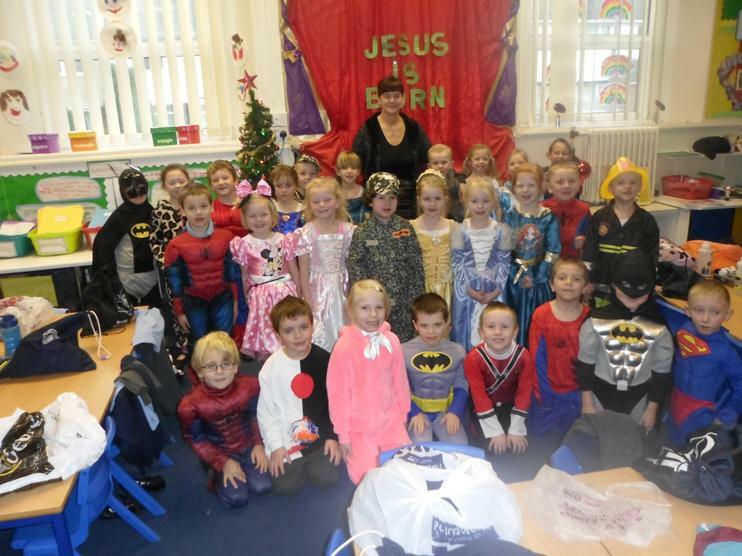 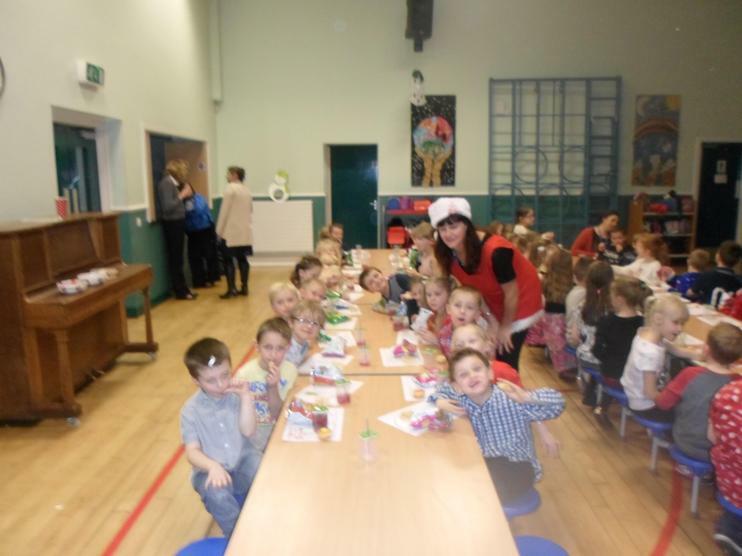 We had a lovely time celebrating the birth of Jesus with a party, school play and a Christmas Lunch. 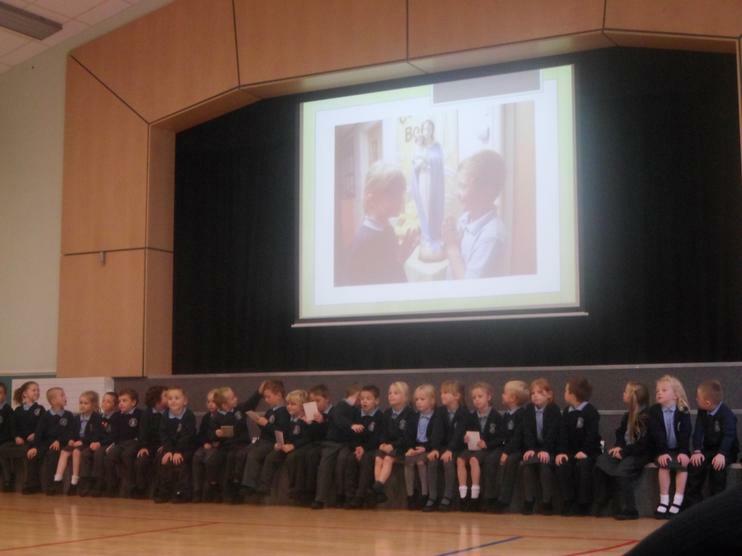 The Christmas Tree was decorated with our own Advent prayers. 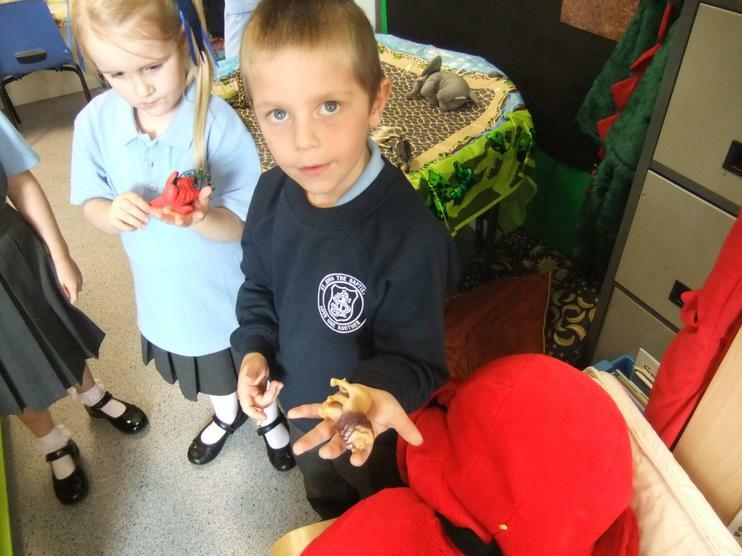 Even Father Christmas brought presents to each class. 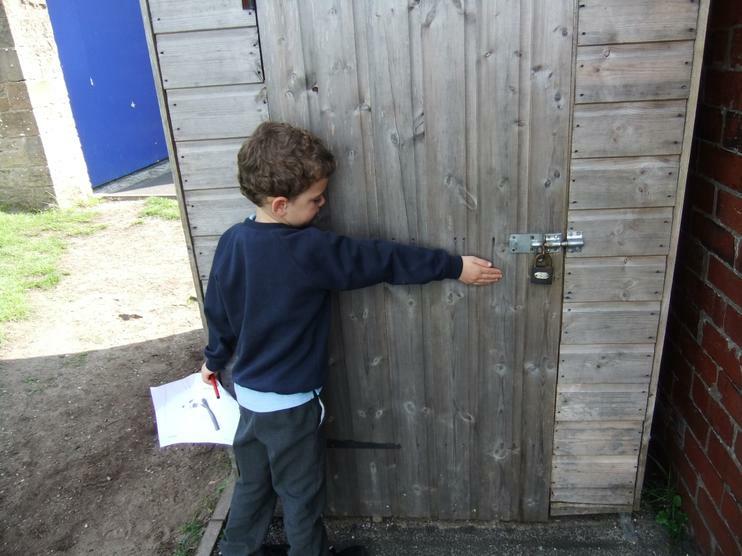 This was made possible through the generosity of the P.T.A. 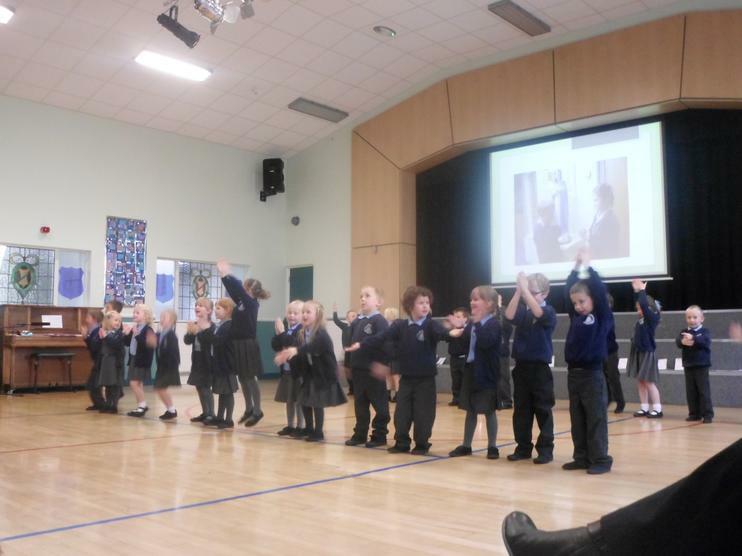 These memories will stay with us forever. 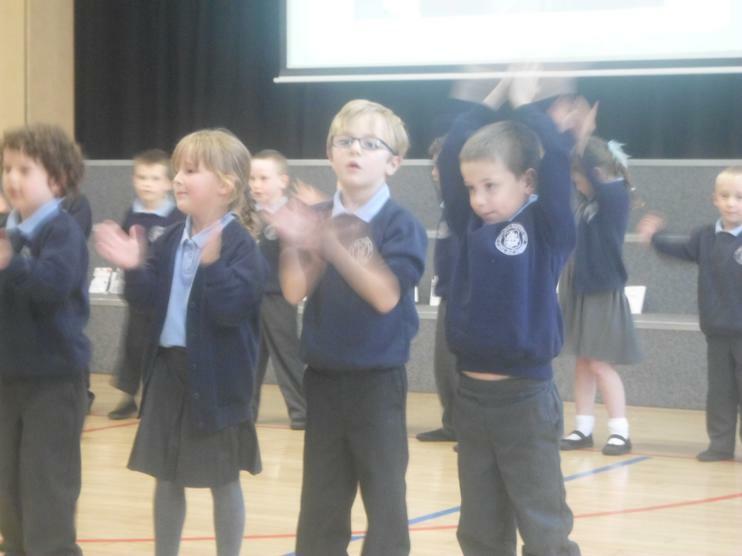 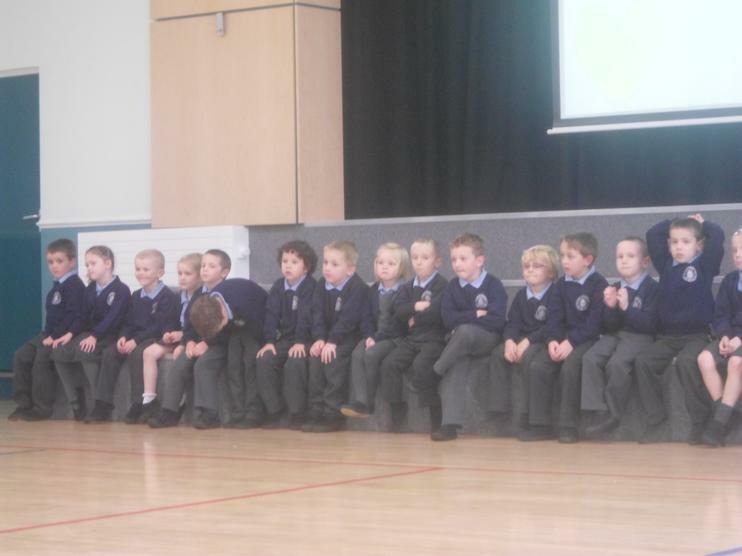 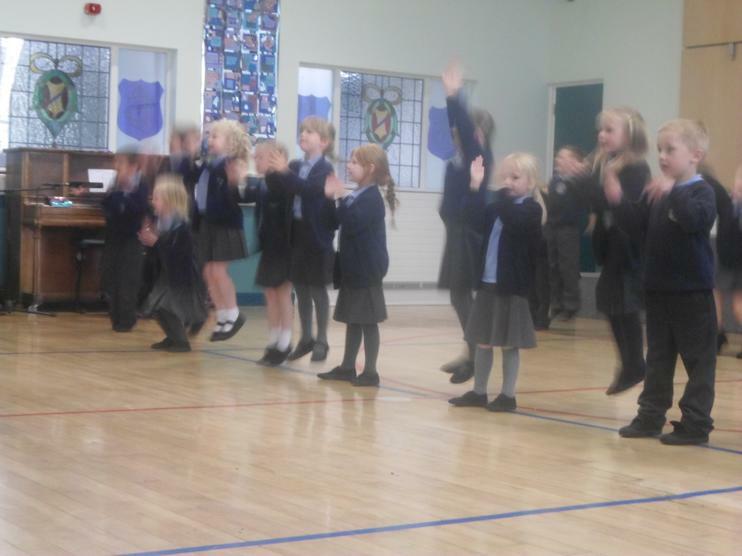 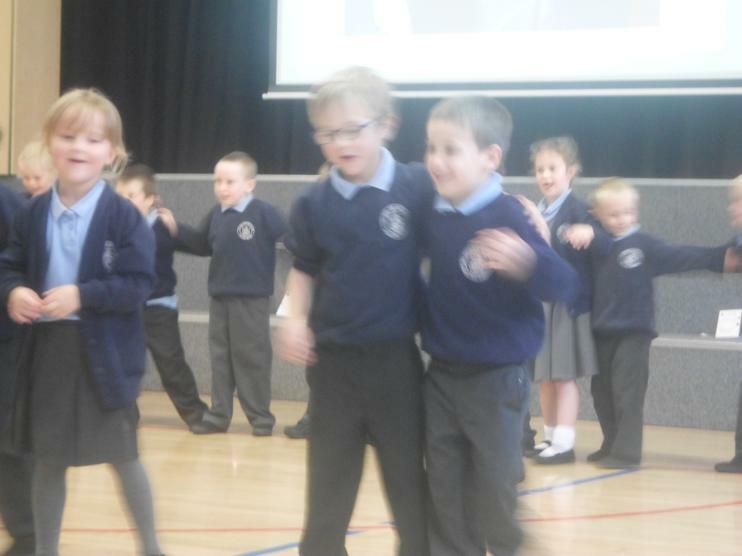 Thank-you for sharing our special assembly with us on Friday 10th October. 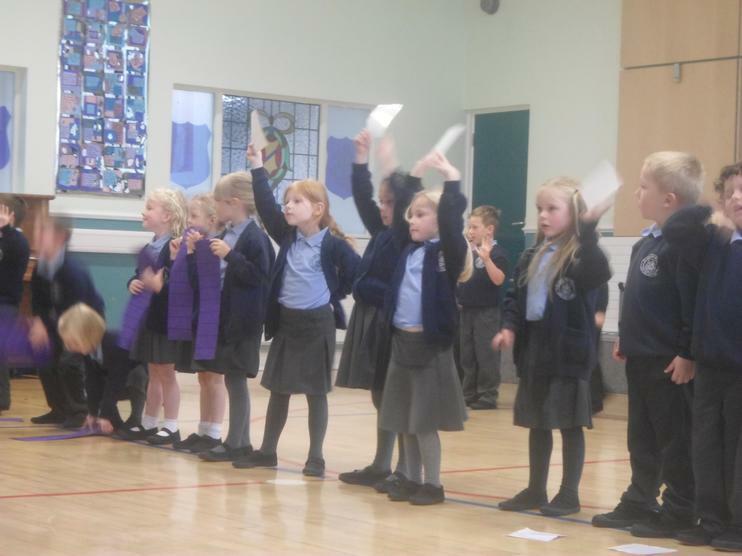 It was a delight to share our special talents with you. 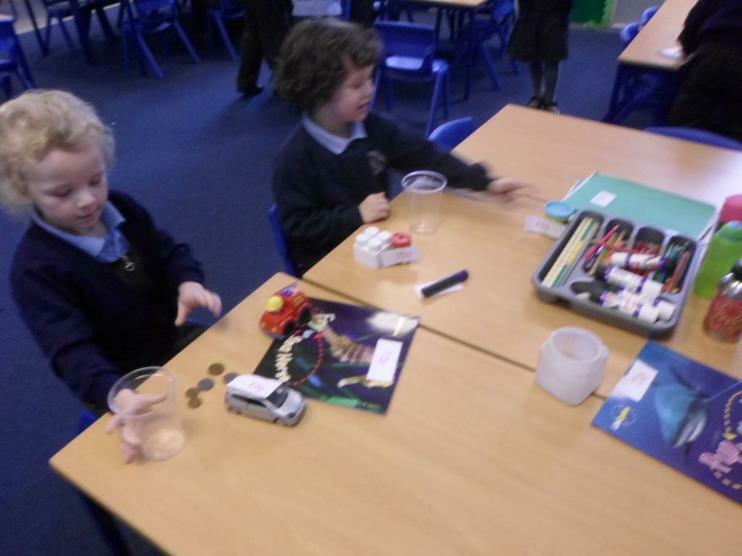 We had so much fun singing and giving special gifts to our Prayer Friends. 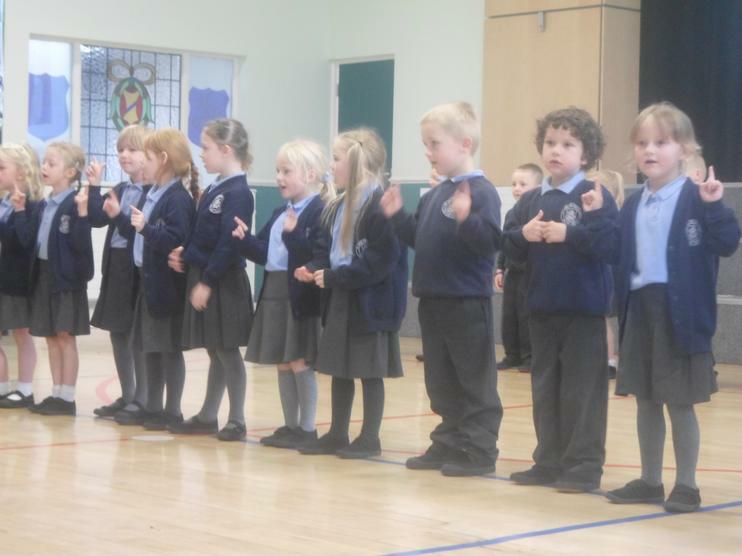 Year One are proud to announce their new School Councillors. 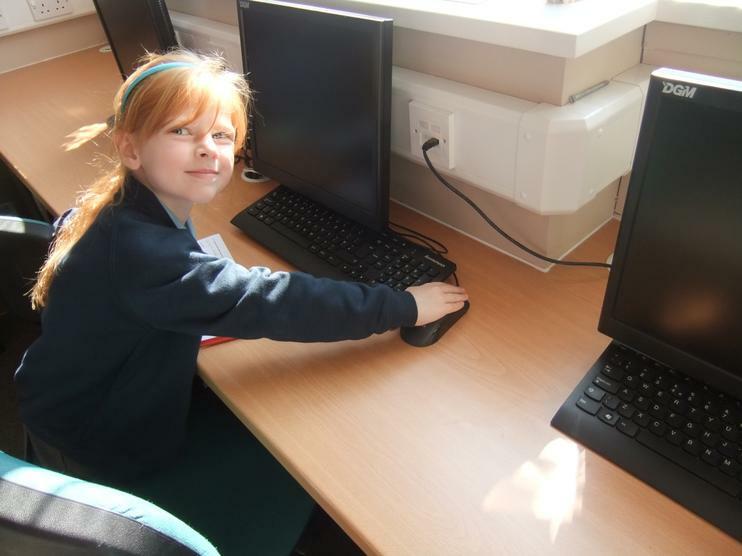 Pictures of our Councillors are on our School Council page. 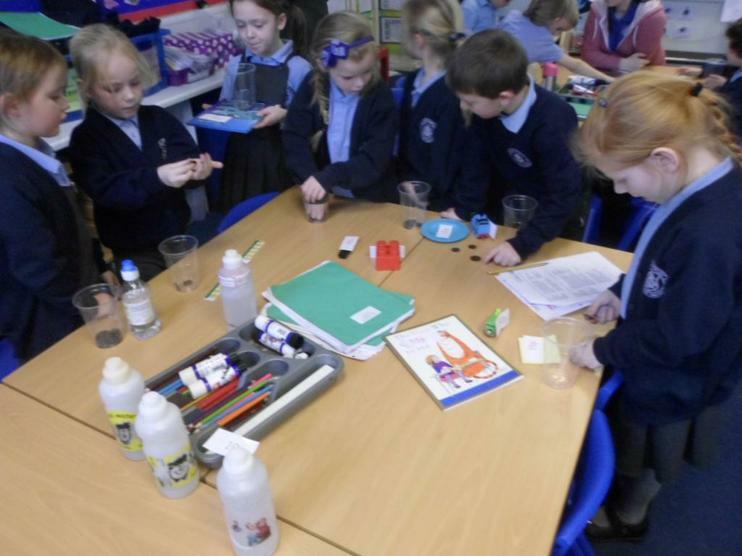 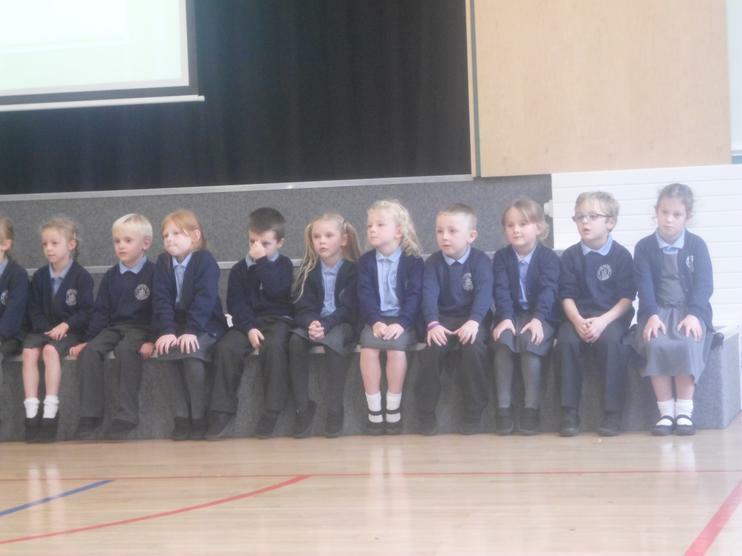 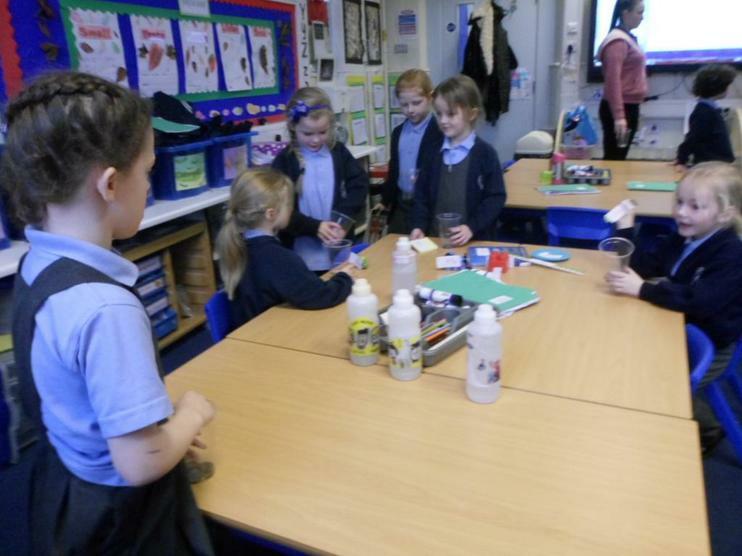 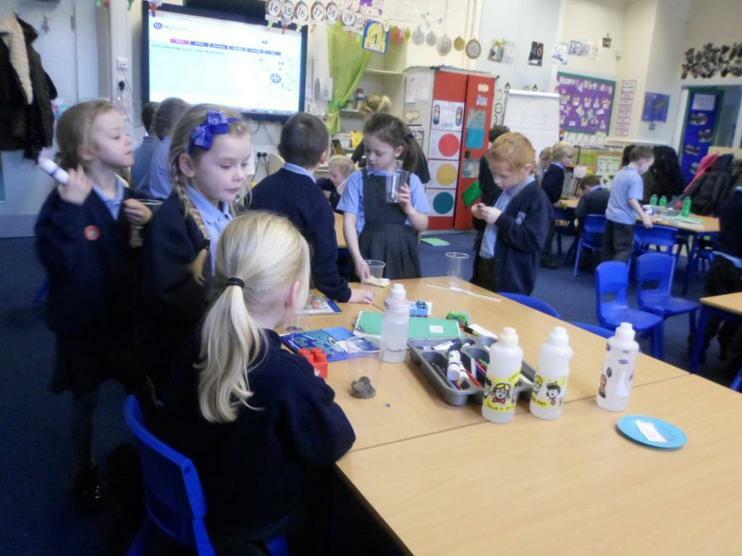 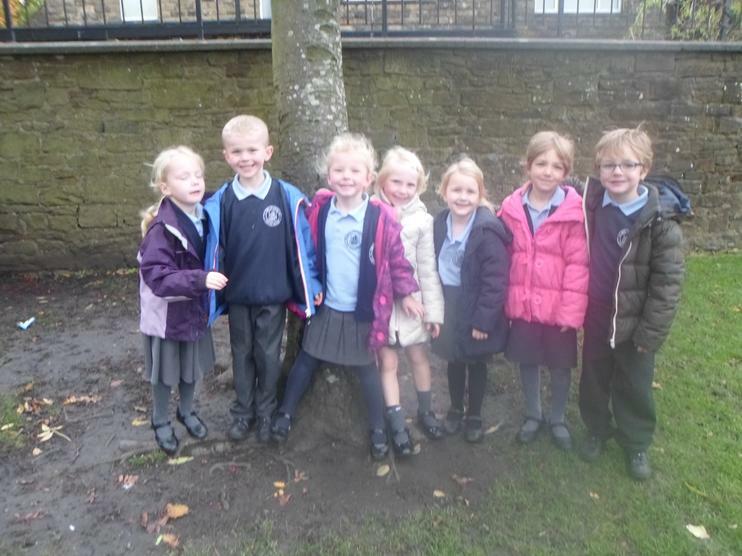 They have been chosen by their peers and will have the responsibility of attending meetings and keeping Year One informed of events around the school. 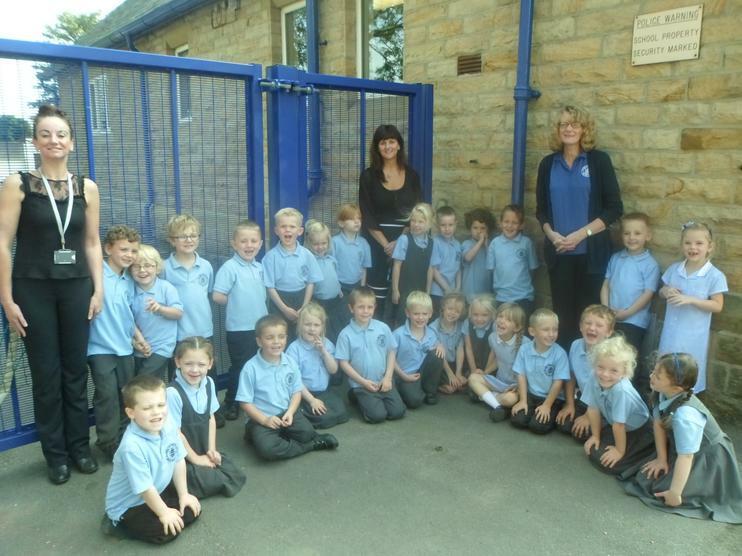 Mrs Adamson is certainly looking forward to working with the School Councillors throughout Year One. 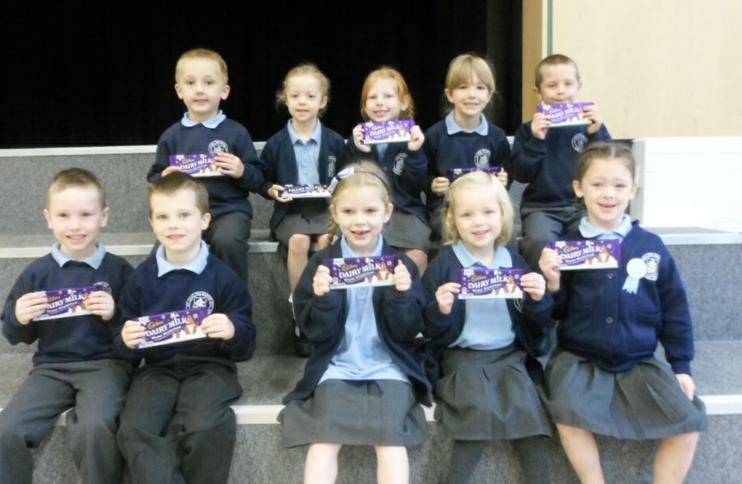 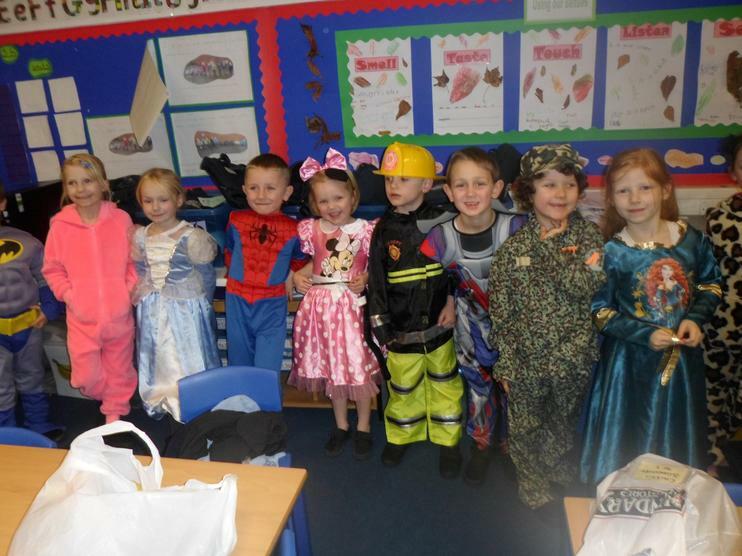 Well done to the children in Year 1 who took part in this year's Summer Reading Challenge - we are very proud of you!! 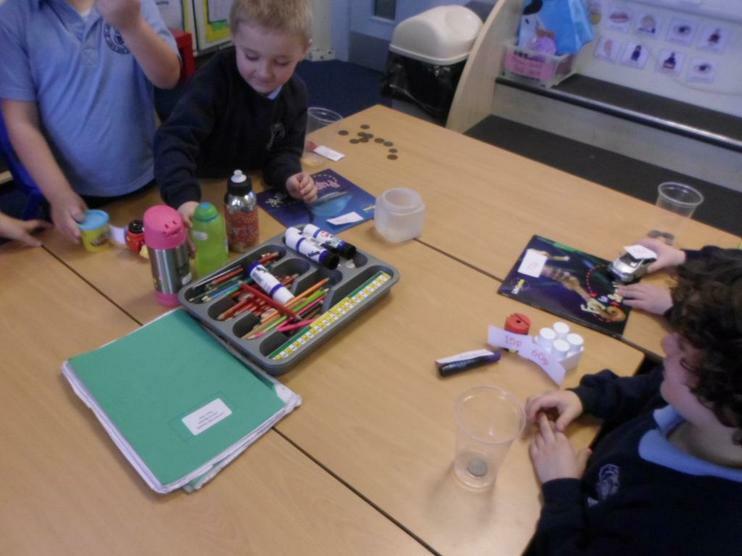 We have had fun measuring with our body and revising the correct vocabulary for comparing. 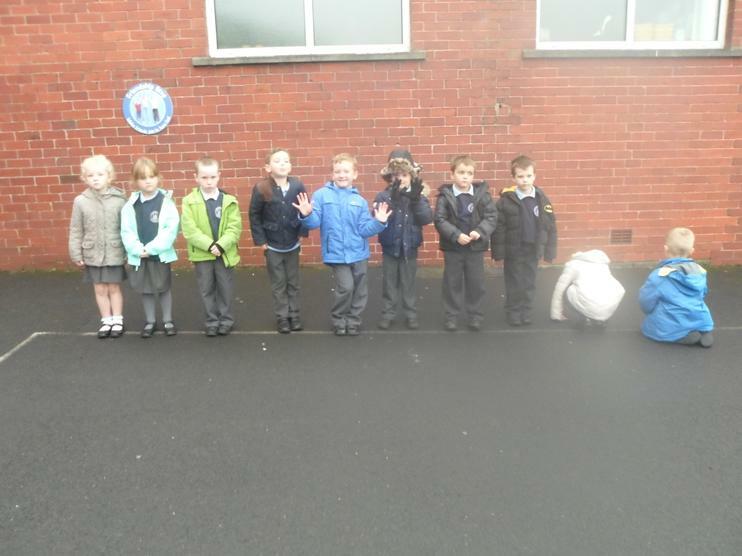 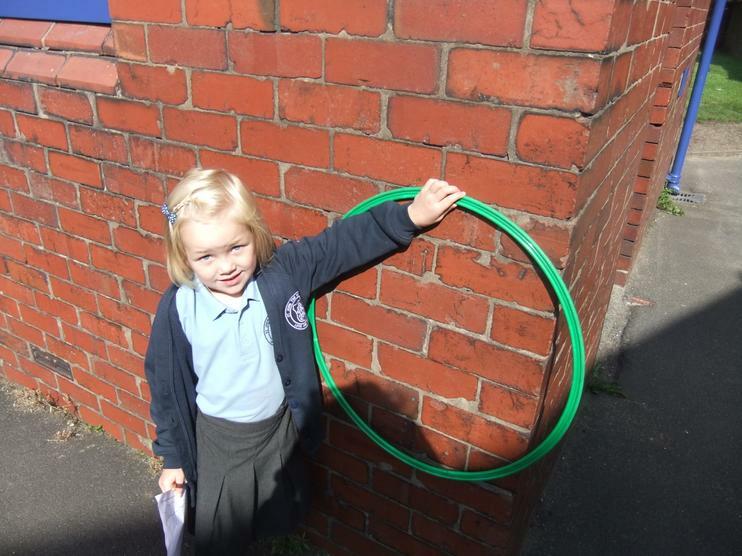 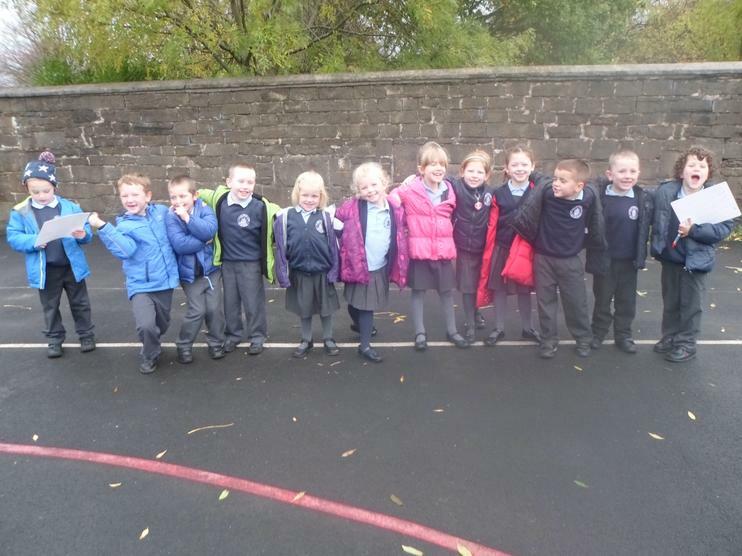 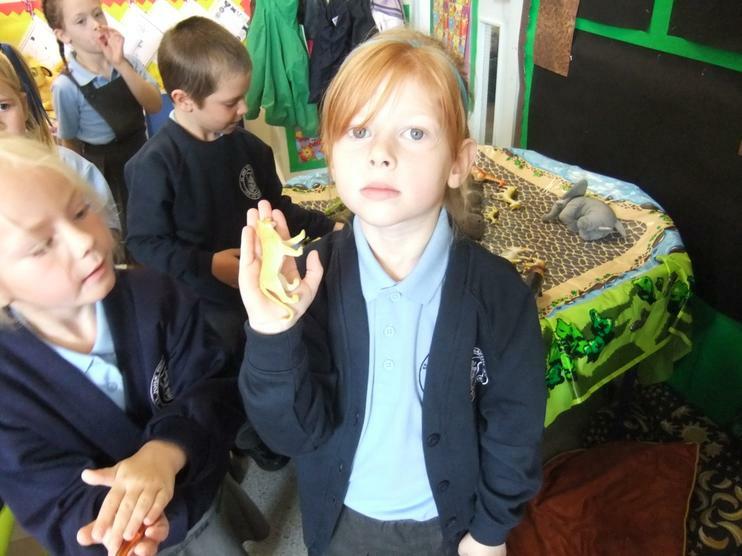 We searched for things around school that were longer than, shorter than, wider than and narrower than our arms, legs, hands and whole bodies. 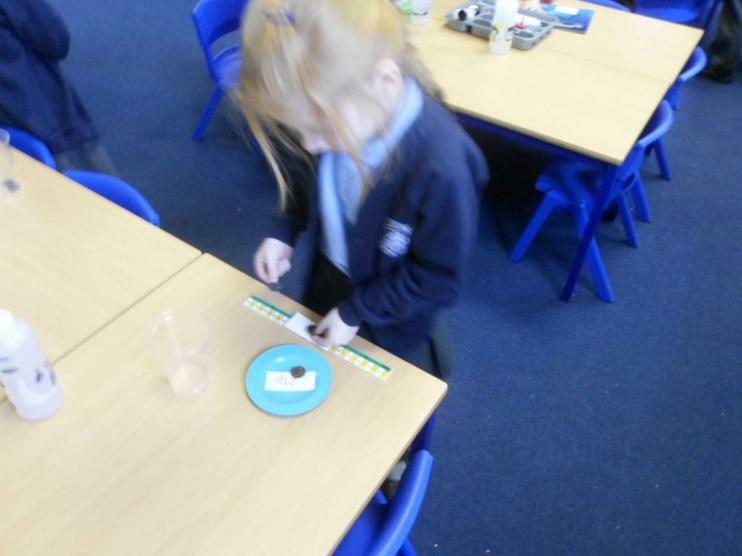 We made cube rulers to measure things more accurately and then we used the metre sticks and centimetre rulers in class. 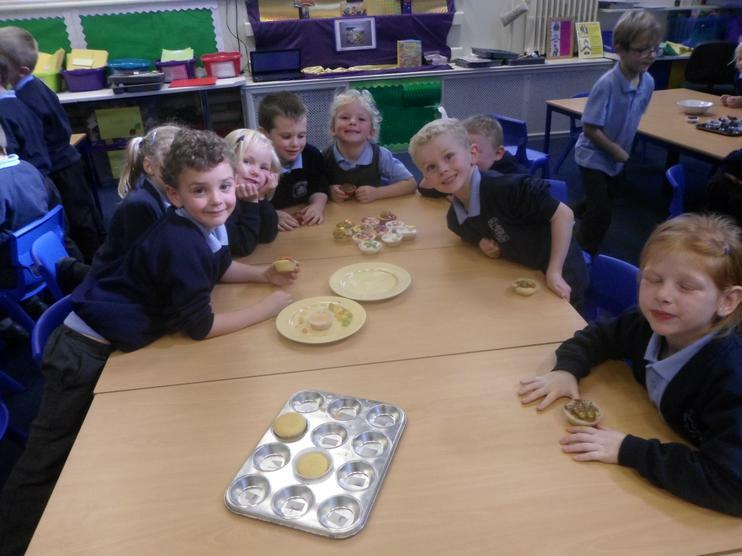 We showed our love and support for this special charity by baking biscuits and cakes. 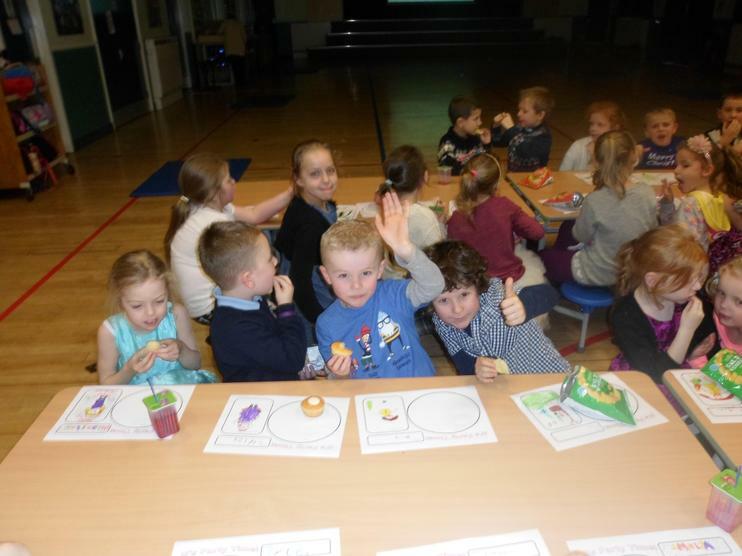 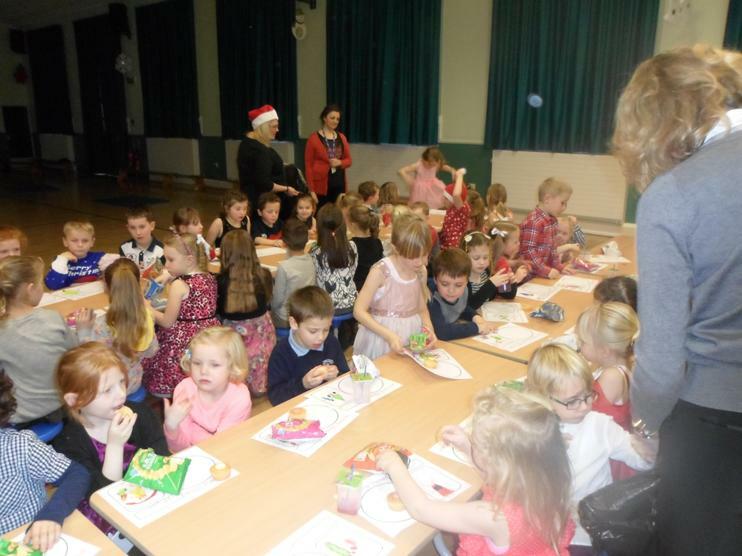 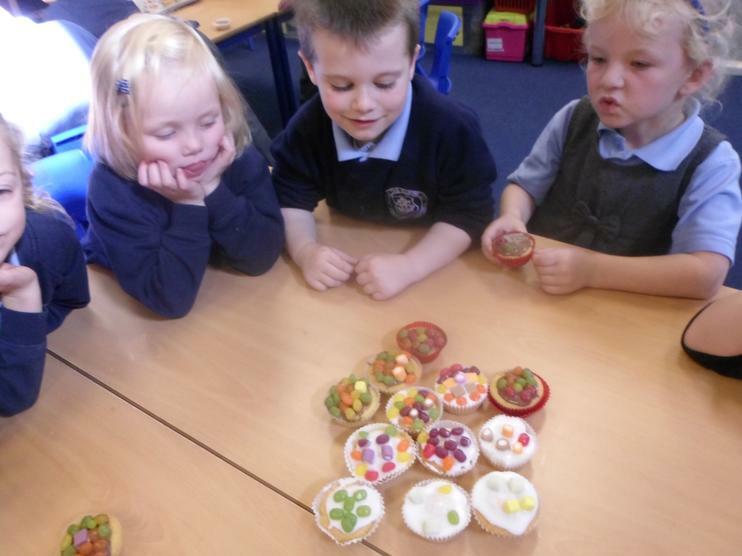 The cakes and biscuits were decorated and sold to raise money for this special charity. 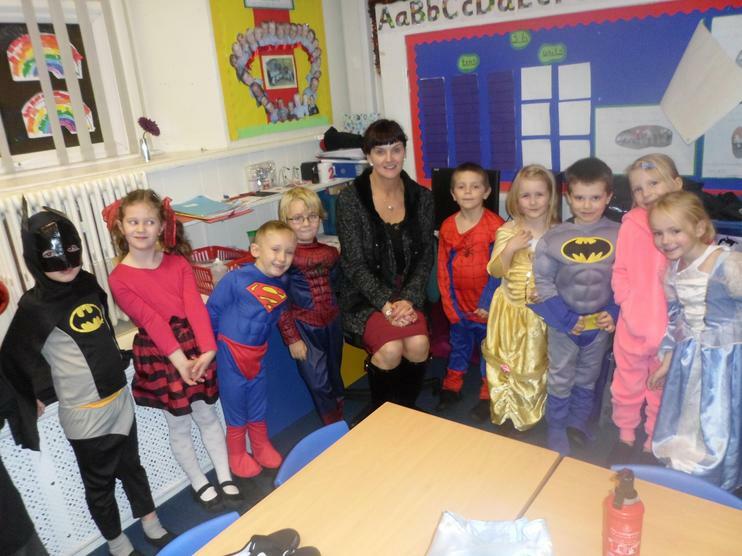 We will always remember Hayley and keep her family in our prayers. 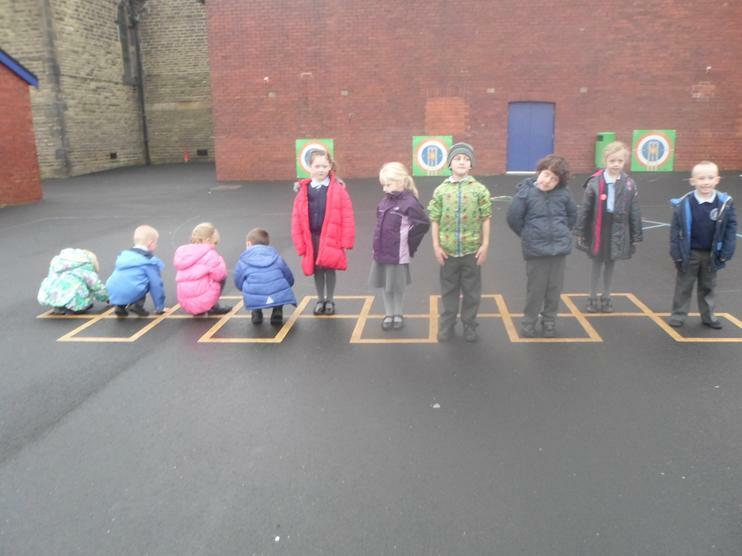 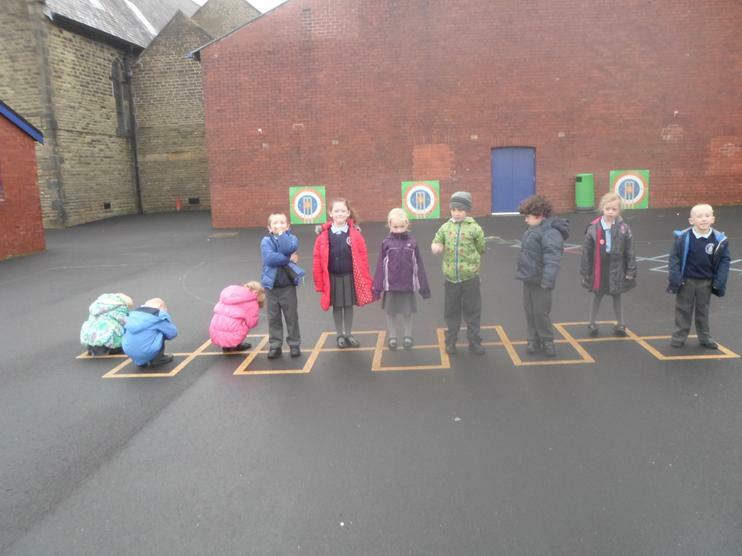 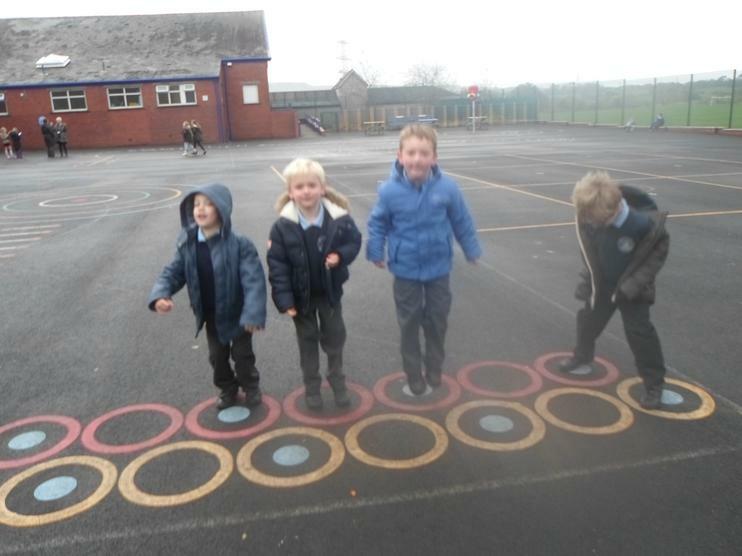 Having fun outdoors and learning mathematics as well. 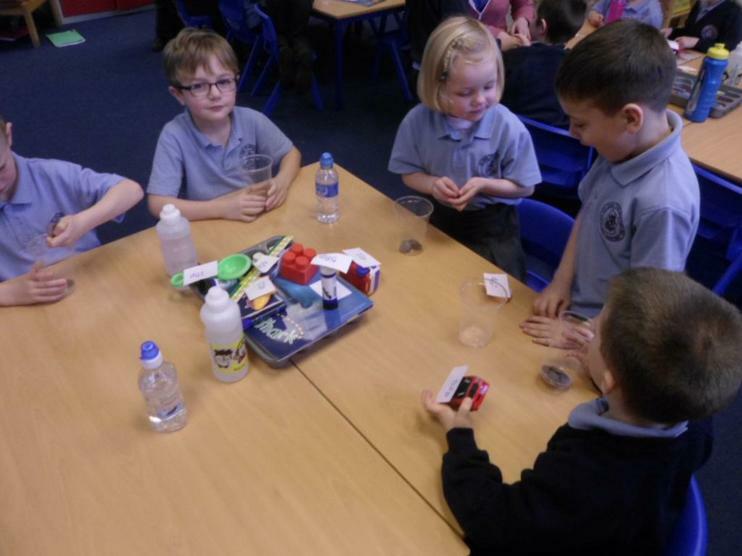 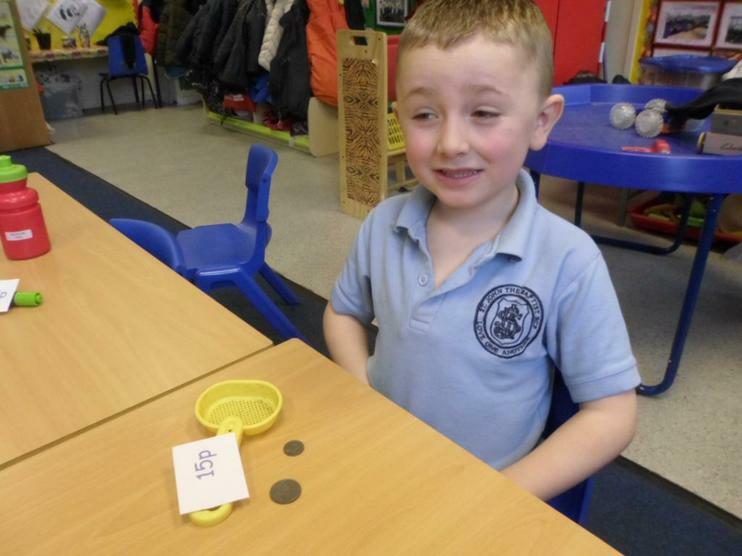 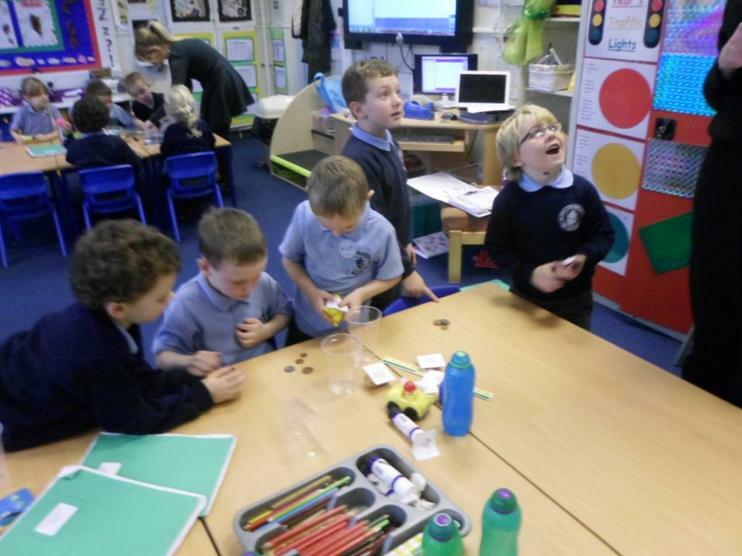 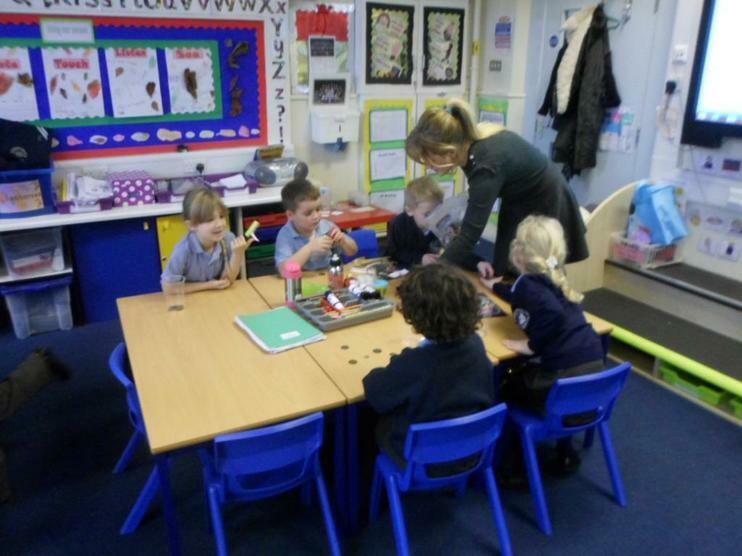 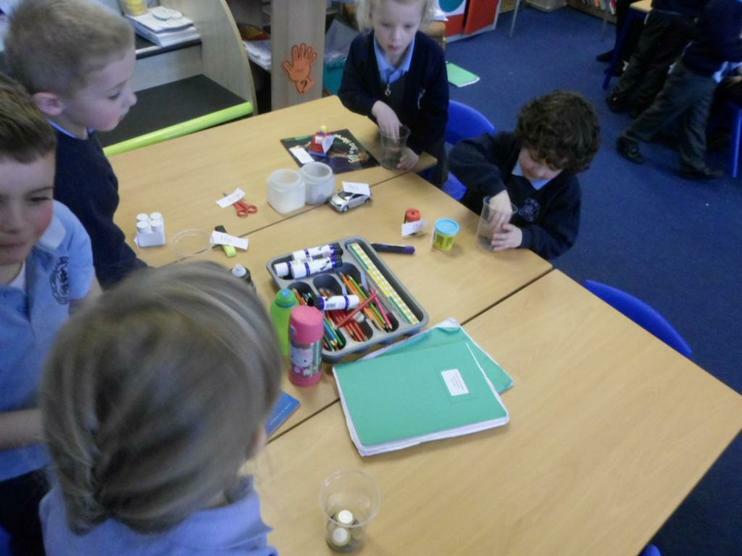 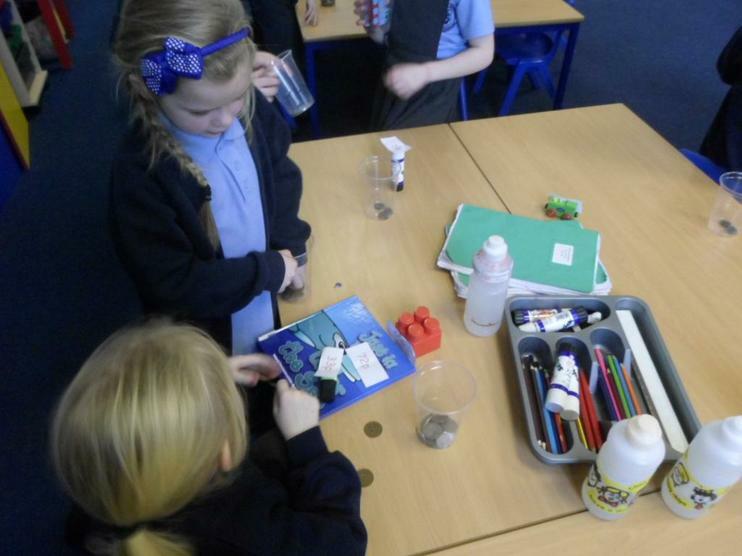 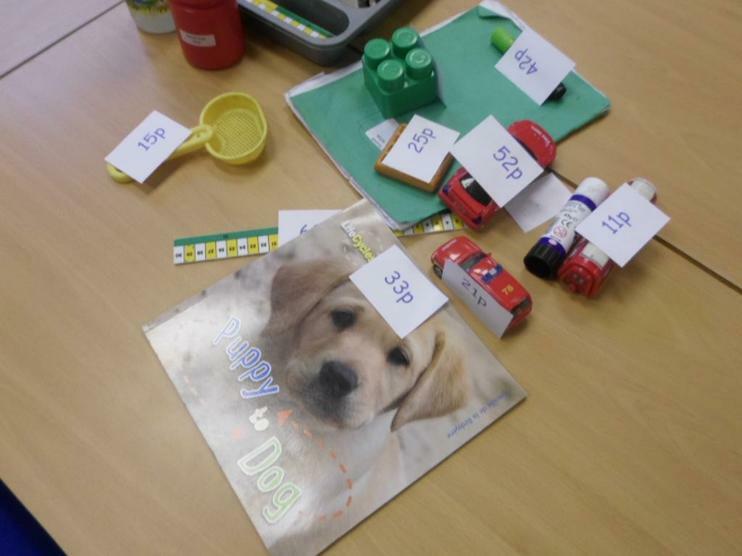 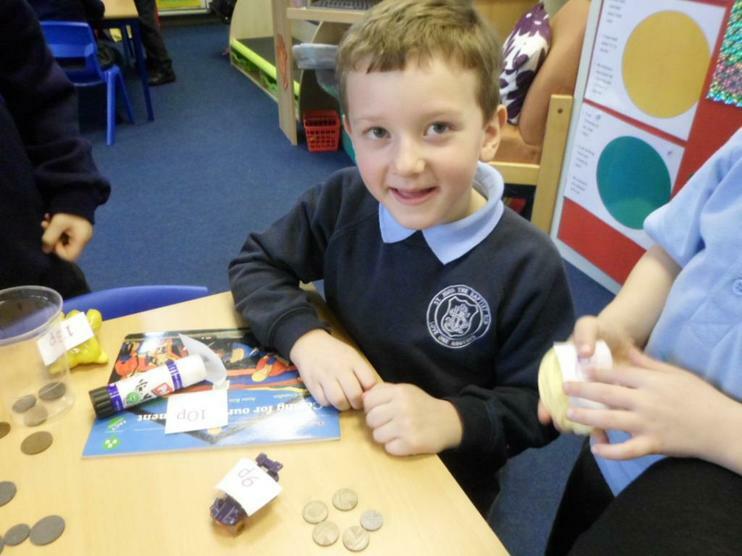 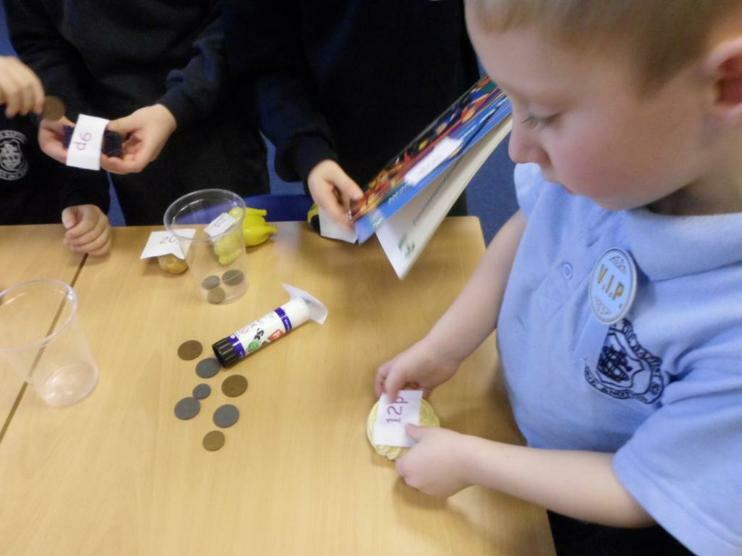 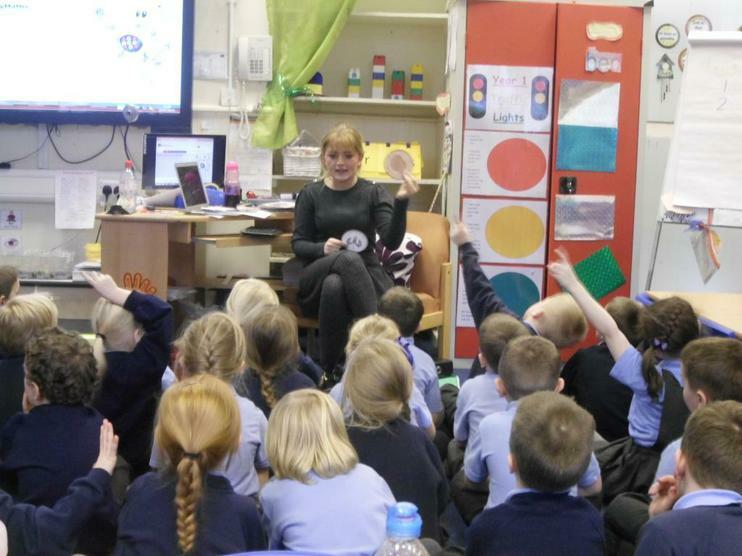 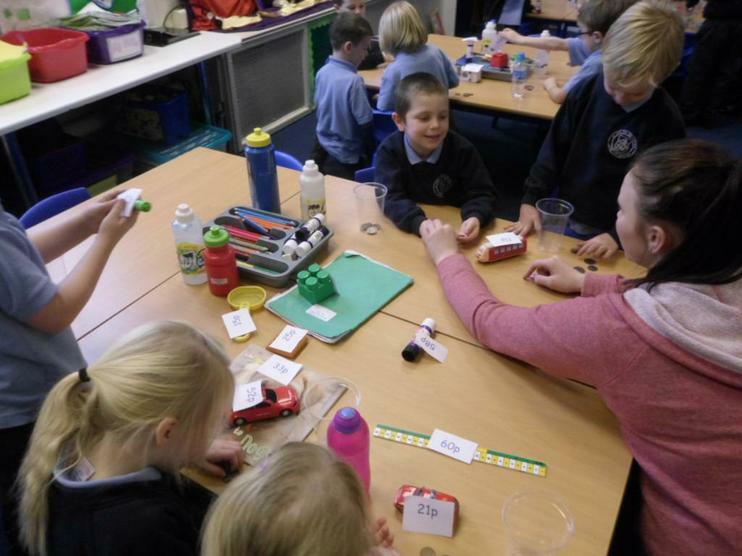 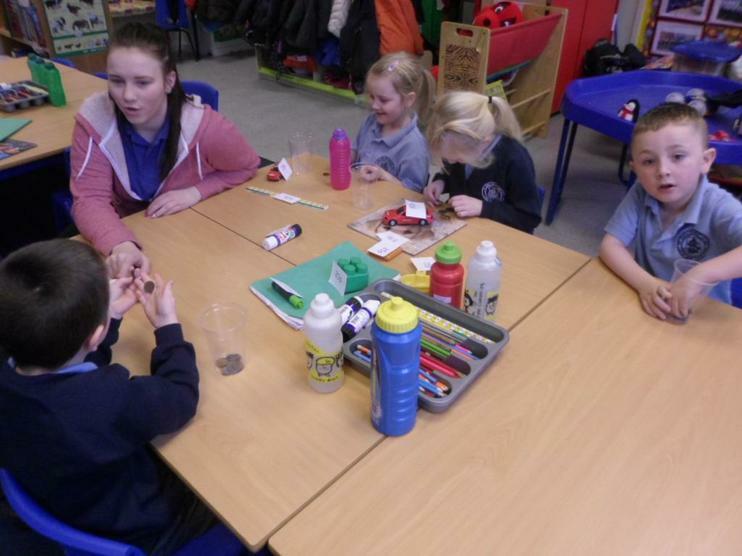 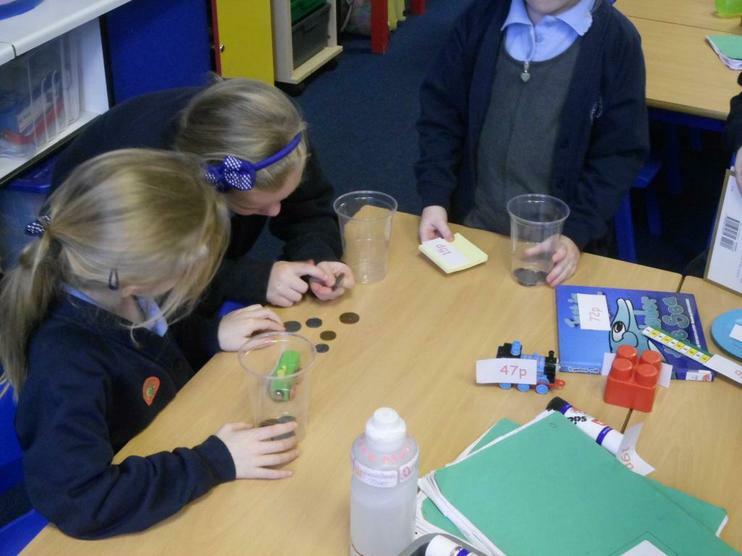 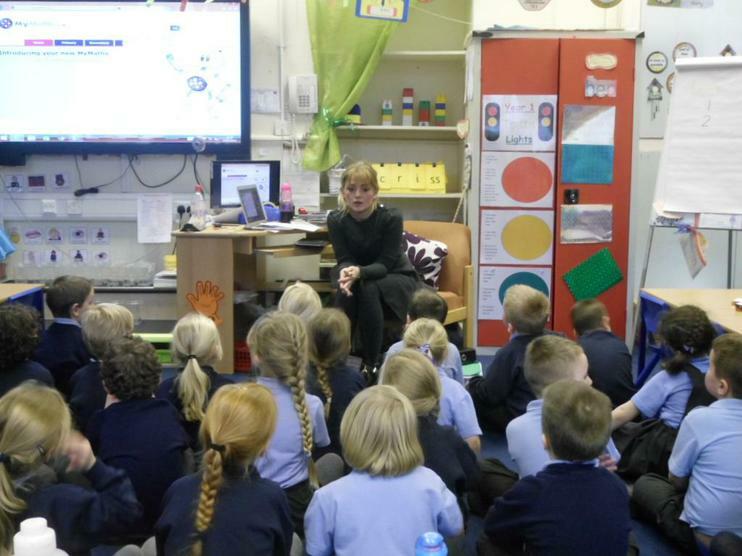 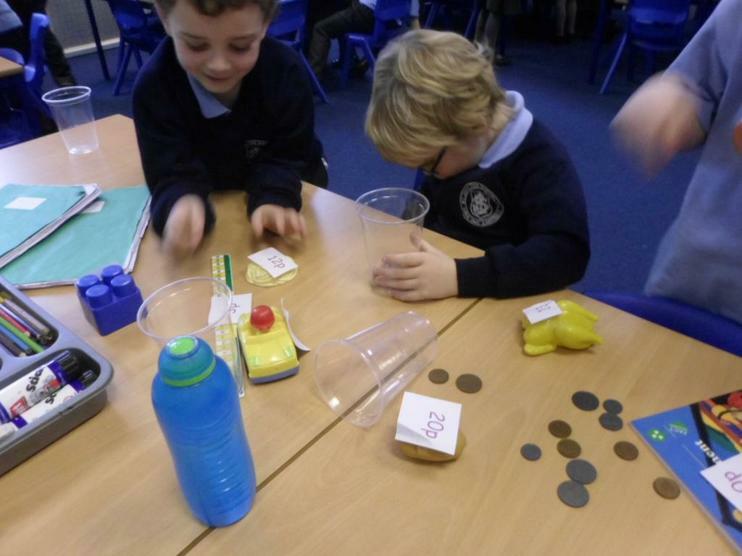 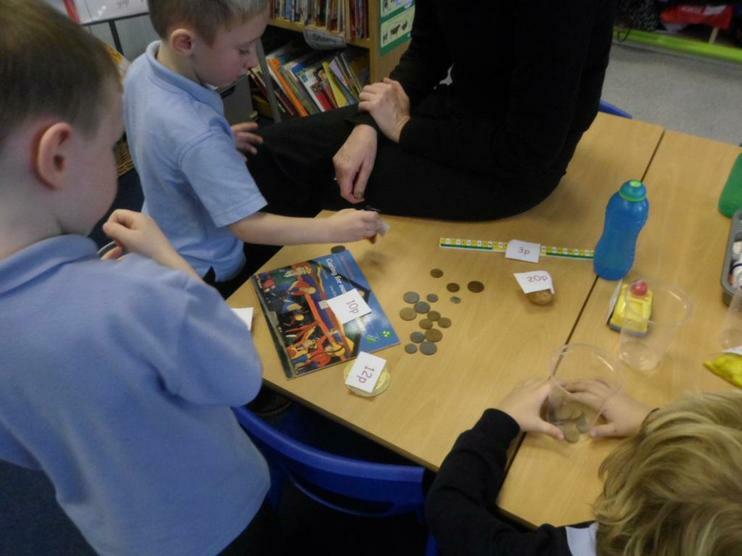 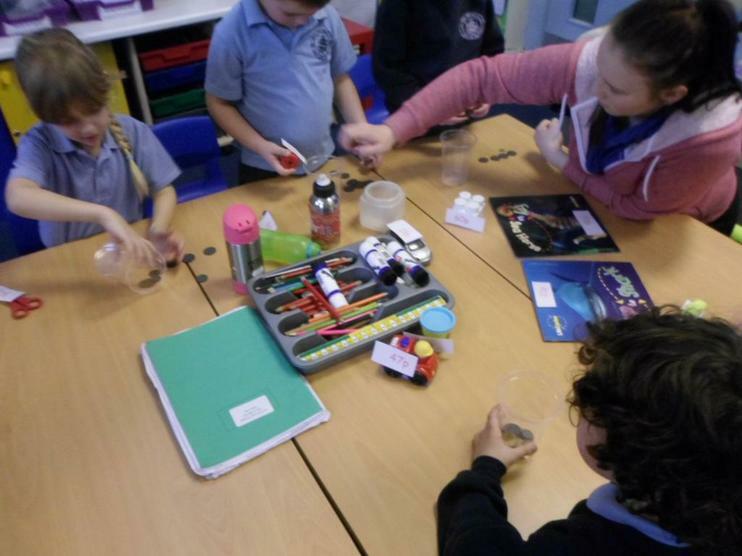 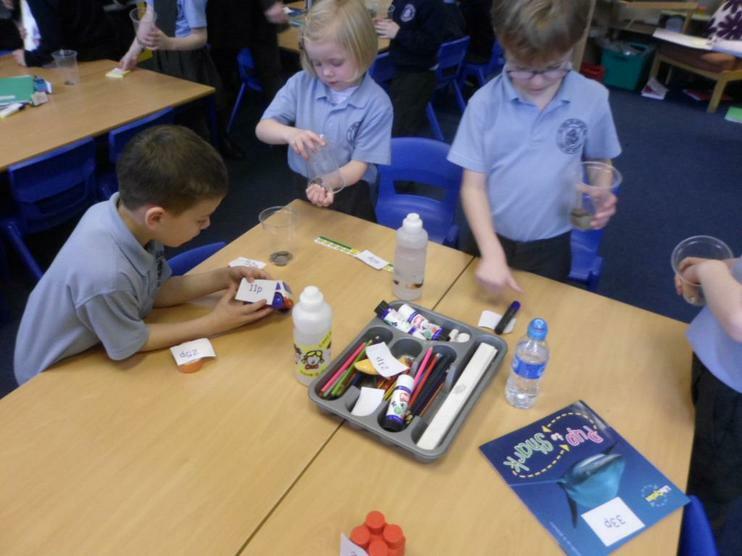 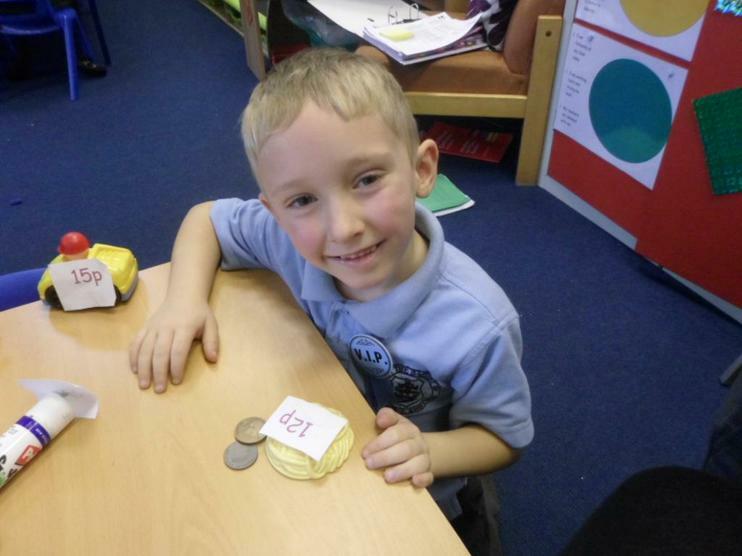 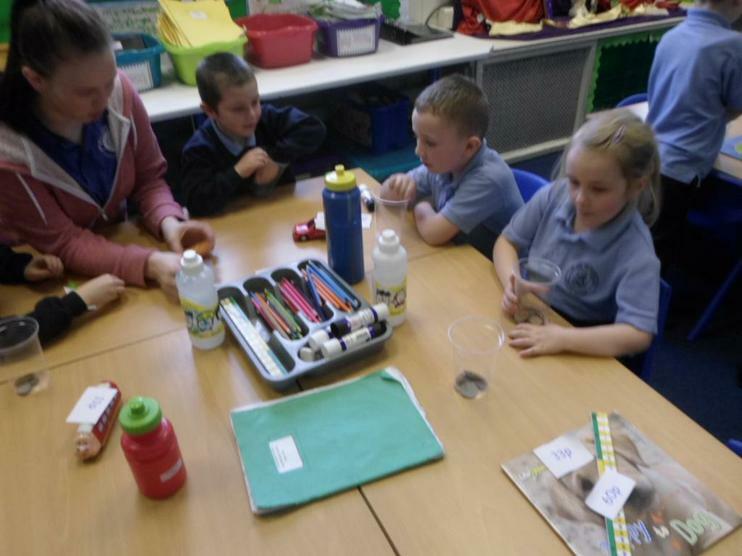 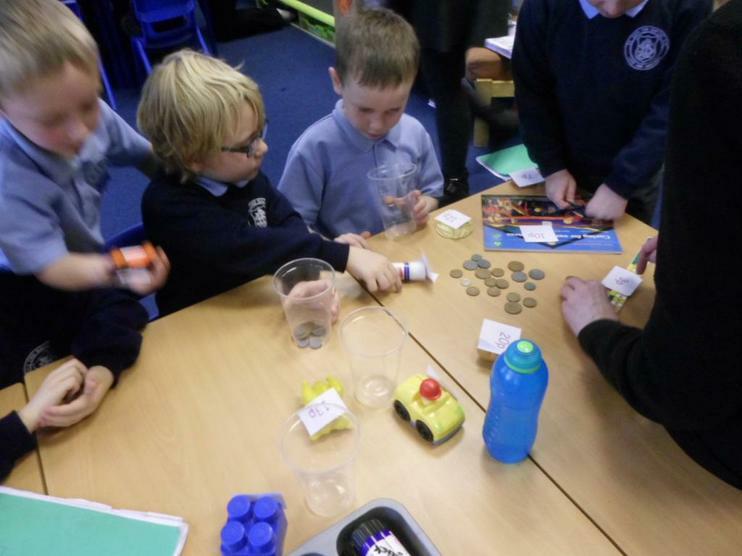 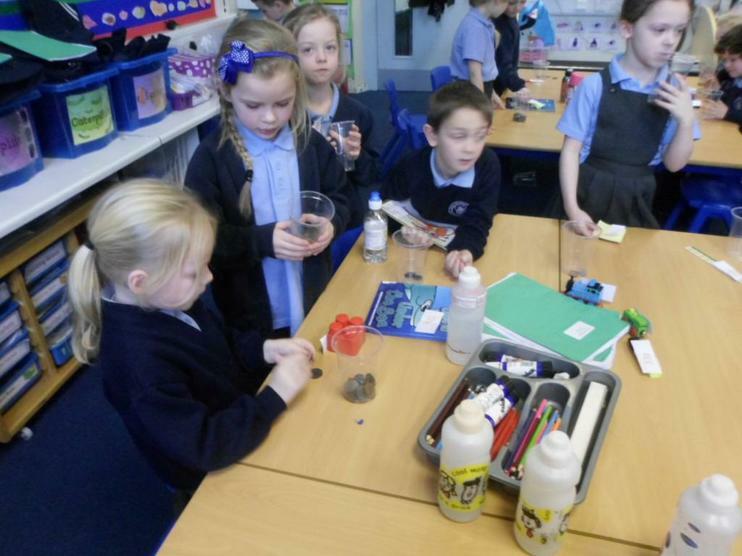 The children have been learning all about money with Miss. 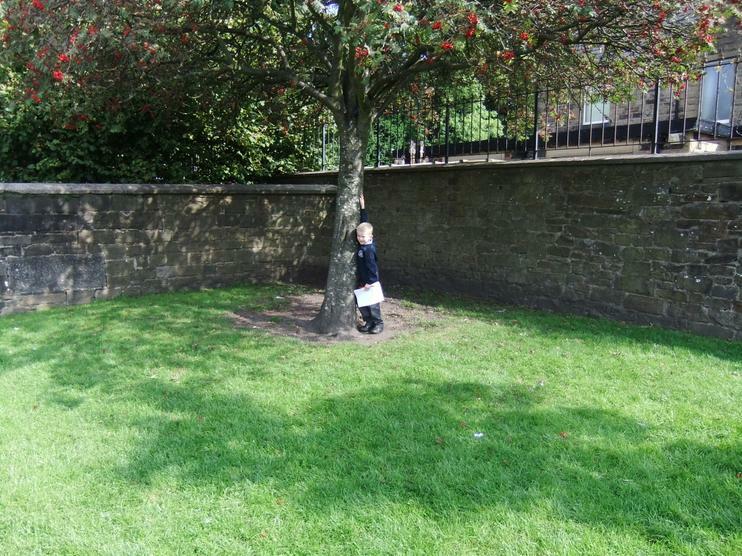 Hewitt. 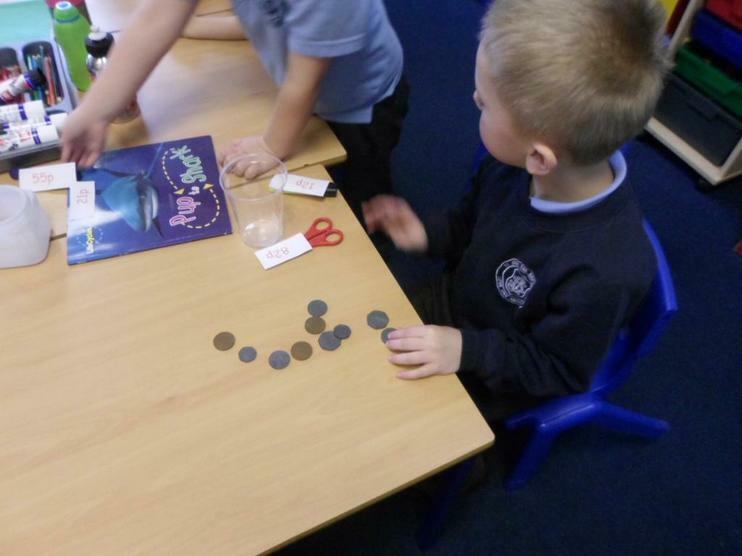 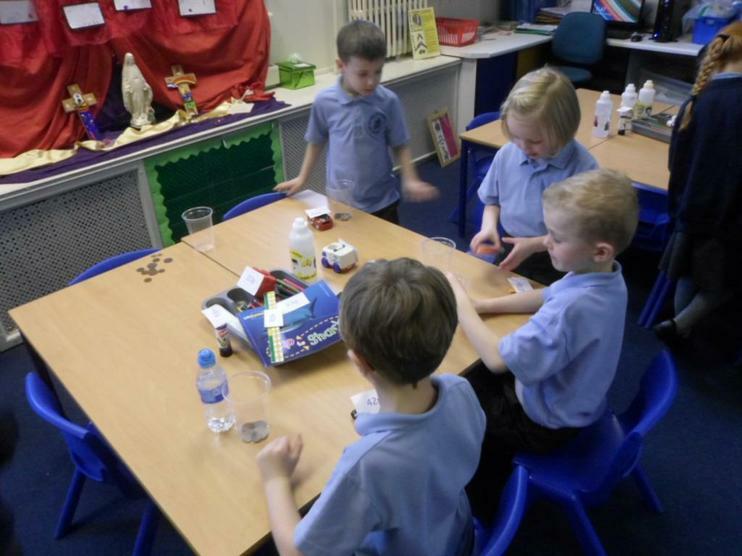 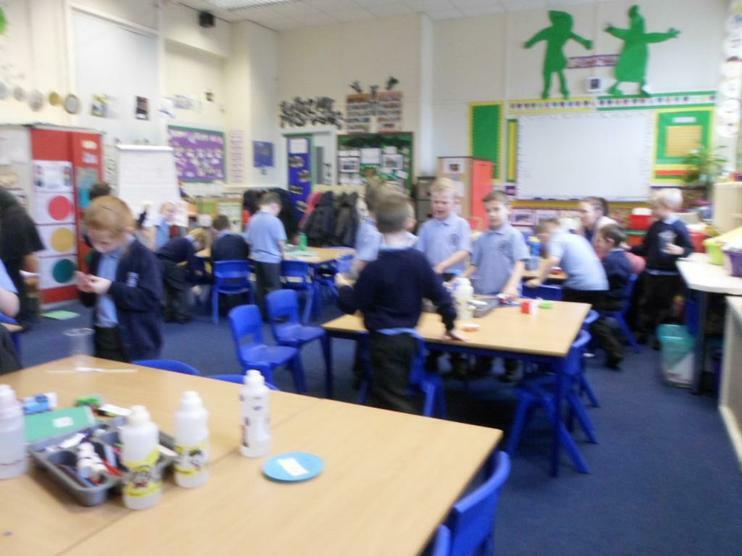 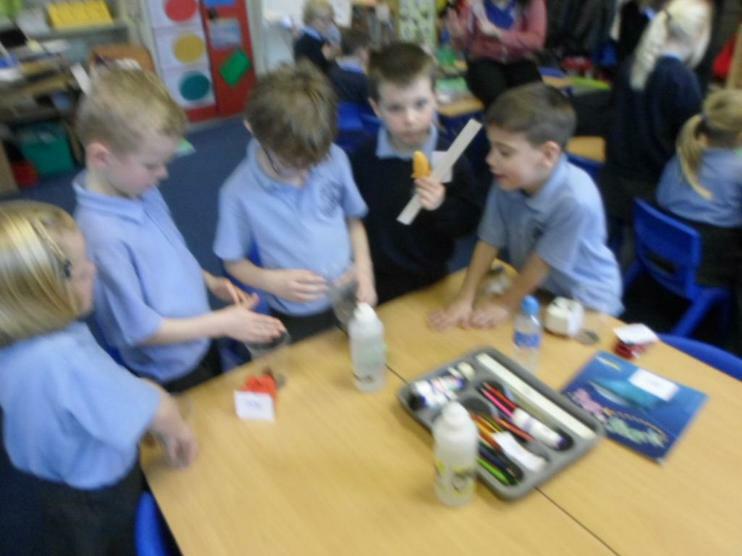 They were able to buy items from a shop and take turns to be the shop keeper.